Construction Continuing Ed > Why Construction Continuing Education? Our mission is to assist contractors, inspectors, business owners, and other tradesmen to achieve their business goals through online continuing education, which enables them to maintain their licenses with classes that fit their schedules, rather than the other way around. Construction Continuing Ed is here to help your business in the long term. With continuing ed courses available for both Texas and New Mexico, we strive to offer you your hours of instruction in an educational, entertaining format. We offer the courses through online streaming. This allows you to get your continuing education credits at your own pace. And, hey, NO boring PowerPoint to click through! 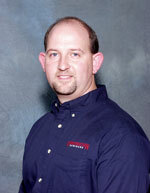 Wade Airheart, owner and instructor at Construction Continuing Ed, has 25 years of experience with contractor licensing. Over 30,000 students have come to him for instruction and help in receiving their contractors licenses in New Mexico and Texas. 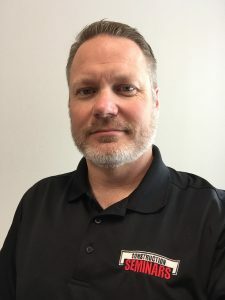 Wade has years of experience in construction code, sales, marketing, advertising, employee management, and business management. Bob DeLaHunt has been with Construction Continuing Ed for almost 10 years. He is extremely knowledgable in construction and has been teaching courses for licensure for almost as long. He knows the ins and outs of construction projects and seeks to help workers get licensed easily and quickly. Click here to browse our courses, or call us at 1-800-942-3212 if you need help deciding which ones to take.